ROXBURY, VT (AP) Construction got under way Oct. 24 on a project to rebuild Vermont's oldest fish hatchery, which was put out of business by flooding from Tropical Storm Irene in 2011. "It's been a long time coming," said Scott, the former owner of a construction company, after he climbed out of the machine. "It took a lot of effort from everyone pulling together in the same direction." The rebuilding of the Roxbury Fish Culture Station, first built in 1891, and known for its outdoor ponds, rather than the tanks used by more modern hatcheries, sunk into the ground. It will meet modern water quality standards while helping to provide the thousands of brook and rainbow trout that will be distributed to lakes, rivers and streams. It wasn't lost on the people at the ceremony, held on a chilly October morning that was spitting snow, that it would be the last time state officials gathered to mark the start of construction of a major Irene recovery project. Some parts of Vermont received 11 inches of rain in 24 hours when Irene stalled over Vermont in late August 2011. It killed six, damaged or destroyed more than 500 miles of roads and 200 bridges, and cut off more than a dozen communities from the outside world, some for several days. The recovery led to the largest single construction project in state history, the $145 million rebuilding of the state office complex in Waterbury, most of which was made unusable when the Winooski River overflowed its banks. The rebuilt complex opened in late 2015. All told, there were 3,372 project worksheets written by the Federal Emergency Management Agency in response to Irene flooding. The combination of federal, state and private funding of the rebuilding totaled an estimated $750 million, said Ben Rose, the hazard mitigation chief of Vermont Emergency Management. A handful of projects remain to be completed. The building of the new state agricultural laboratory in Randolph is almost finished, and there are a handful of road projects wrapping up, but with the Oct. 24 groundbreaking, none are left to get started, Rose said. "It's a real celebration of perseverance," Rose said. 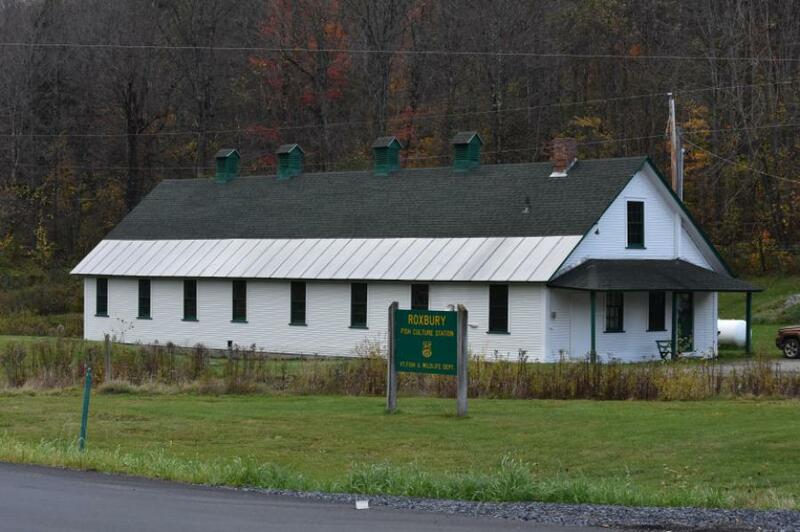 Fish and Wildlife Commissioner Louis Porter said the rebuilding of the Roxbury hatchery is going to cost $5 million to $6 million, with FEMA contributing just under $1 million. "The cost of this project is really about building a hatchery that can both produce fish but can also produce those fish in an environmentally protective and responsible way," Porter said. The construction is expected to take about a year, but it will probably have to pause for the winter, so it's likely it won't be ready for a ribbon-cutting until sometime in 2020.